When I saw this Chewy Irish Coffee Blondie recipe in the March issue of Martha Stewart Living I just knew that had to make them. I have not done much baking with coffee in the past so I felt the recipe was interesting as it uses fresh coffee grounds right in the batter. Plus the glaze has Irish whiskey so this would be a great recipe for the upcoming St. Patrick’s Day. The blondies were so easy to whip up! I basically had everything I needed on hand too. I just had to run out and get a nip of whiskey and then I was all set. The process was quick and easy. I only made a few changes & they related to process. I did not put parchment in my pan like the recipe called for. I just put a lot of cooking spray and they popped right out! Also, I gently cut all of my bars in the pan, removed them, and then drizzled the glaze on them since I like them bars have glaze covering them all over, not just the top. 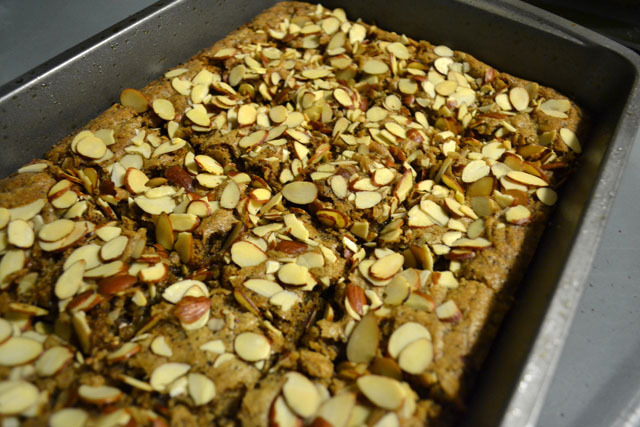 Aside from that the recipe is spot on and a great crowd pleaser- just as my coworkers! The blondies are so good. On Saturday night told Price would make them on Sunday and by Sunday afternoon I was getting bugged about making them. Thankfully once I started it all came together quickly. The recipe says to wait for the glaze to cool for an hour after you put it on the blondies… umm that did not happen! The moment the glaze was on them was the moment we enjoyed 2… each! ouch! But the sweet treat is totally worth the extra exercise push we need to make. Trust me! 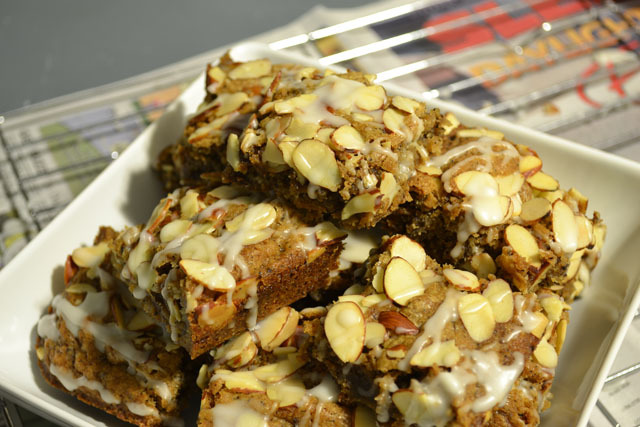 The blondies are chewy, sugary, buttery, and so moist. 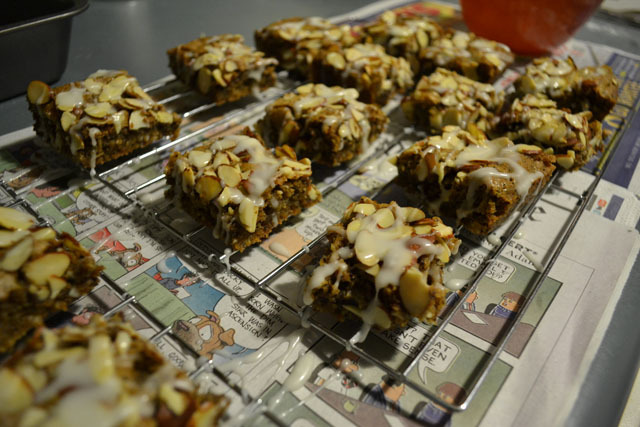 The almonds provide a nice crunch to the top which is a nice compliment to the texture of the bar. The whiskey glaze is subtle but you do catch a bit of the flavor to tie the Irish Coffee experience together. Preheat oven to 350 degrees. 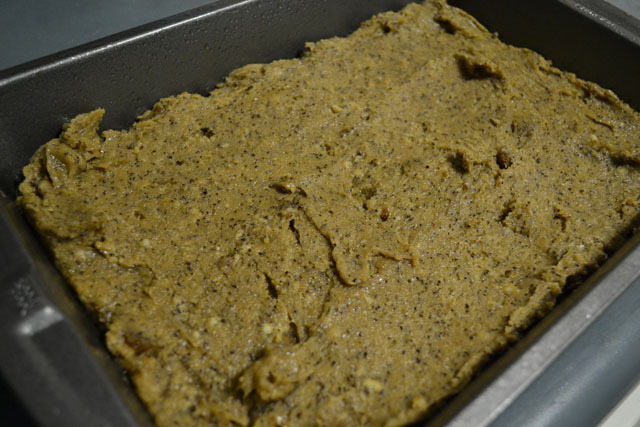 Generously butter/spray a 9-by-13-inch baking pan. Line with parchment so that it overhangs on all sides. Butter parchment. 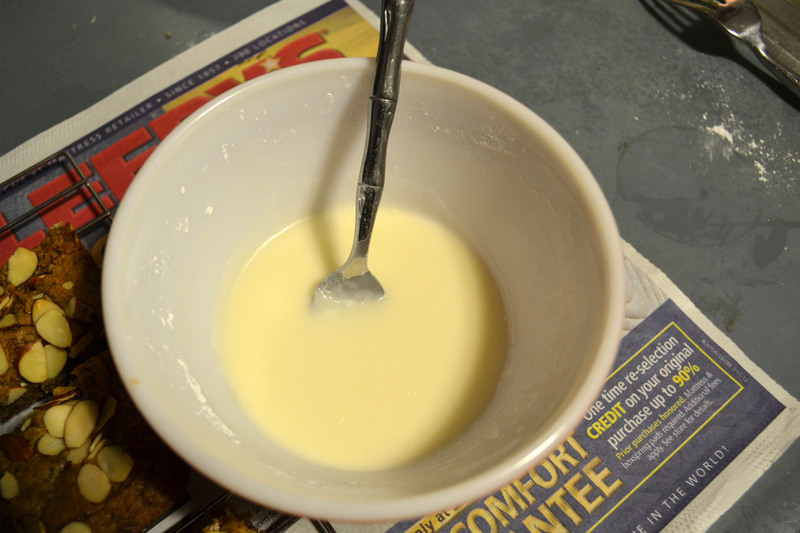 In a small pot or microwavable safe bowl, melt the 2 sticks of butter. 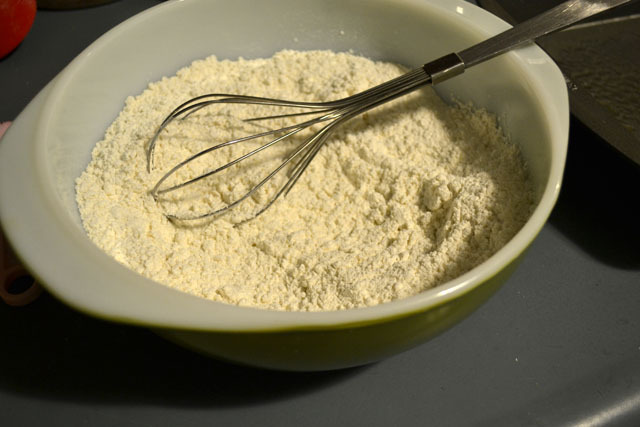 In a medium size bowl, whisk together flour, baking powder, and baking soda. 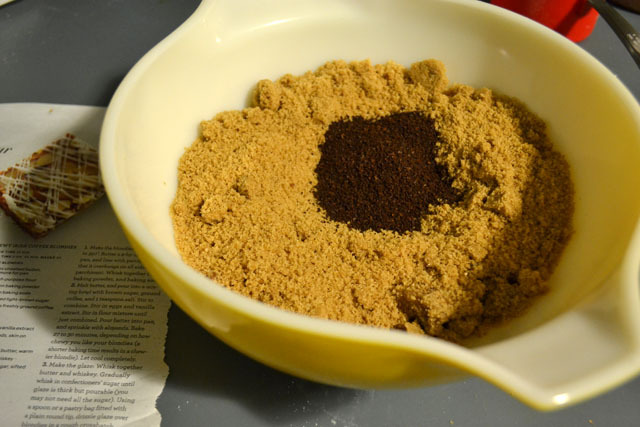 Combine brown sugar, ground coffee, and salt in a large mixing bowl. Pour the melted butter to the sugar mixture. Add the eggs and vanilla extract, mixing well to combine. 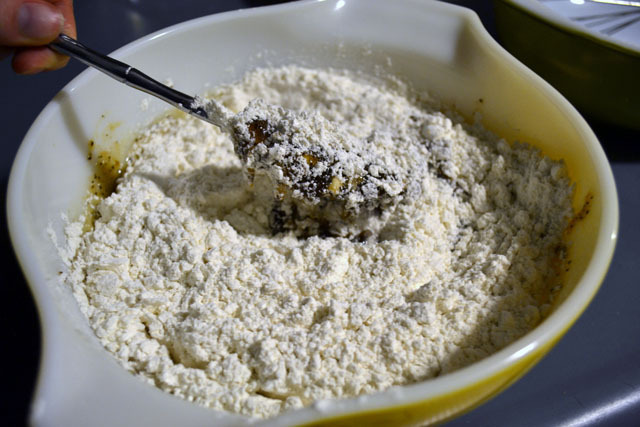 Stir in flour mixture until just combined. Pour batter into pan, and sprinkle with almonds. Bake 27 – 30 minutes, depending on how chewy you like your blondies (shorter baking time results in a chewier blondie). 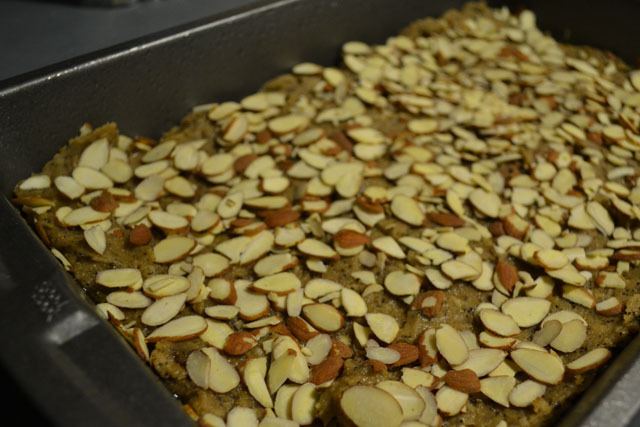 Let the blondies cool for 10-15 minutes, gently cut them into 24 squares (6 pieces by 4 pieces). Line your counter with paper towels or news paper, to provide you with an easily cleanable work surface. 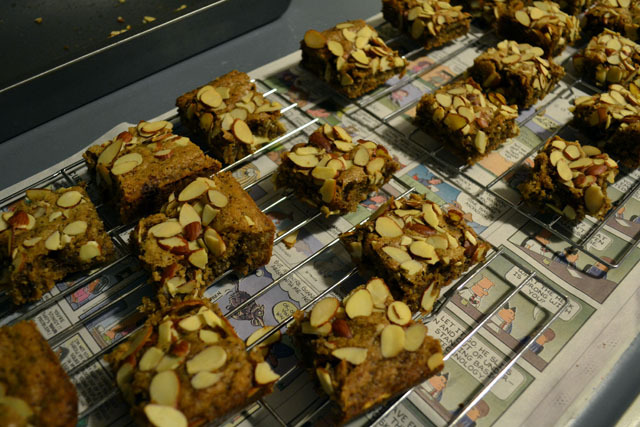 Place the blondies on cooling trays to continue to cool and to receive the glaze. 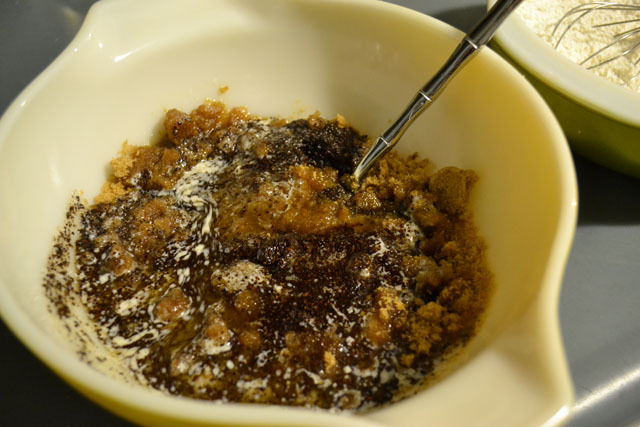 To make the glaze, whisk together butter, sugar, and whiskey. Add more sugar or whiskey until glaze is thick but pourable. 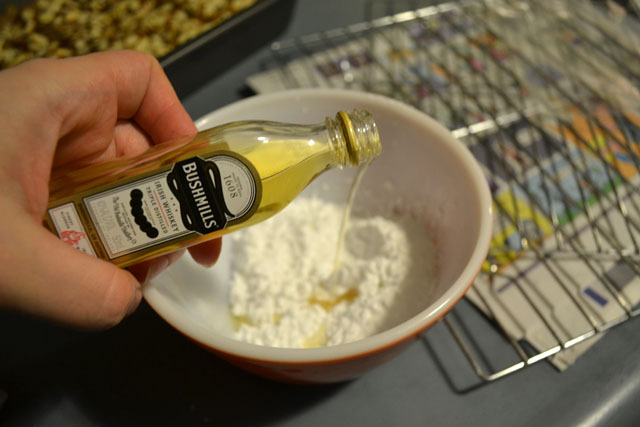 Using a spoon or a plastic bag with the tip cut off, drizzle glaze over blondies. Let the glaze dry 1 hour. The glaze and almonds totally make these. I want! 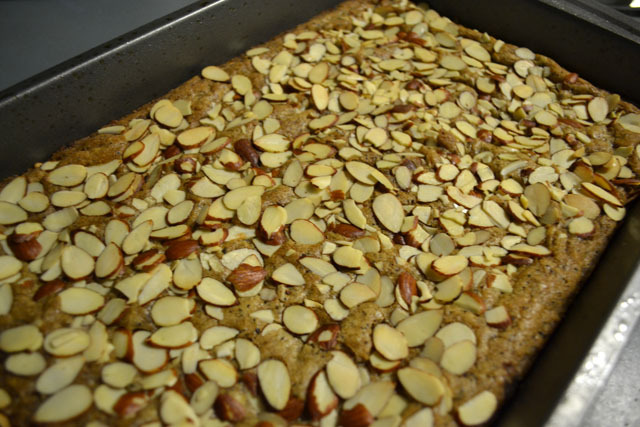 I hardly ever use almonds in baking but they’re my favorite so I don’t know why. Saving this one for next St Patty’s Day! These look fantastic — they are definitely on my list now!